Having started life as a bedding specialist over two centuries ago, Heal’s knows a thing or two about getting a good night’s rest. Placing style, functionality and comfort to the fore, our range of Heal’s own and designer bed frames are crafted to provide a wonderful sleep that fits harmoniously within your space. A well-made bed frame or bedstead can offer you years of loyal service. However, a bed that has not been properly looked after or is in bad shape will affect the comfort and lifespan of your mattress. * Heal's Divan beds are not available in Continental size. Trying out a bed in a spacious showroom is all very well, but it’s important to remember that the dimensions of your bedroom and furniture will to some extent dictate the type of frame you choose. Size it up: check your mattress and bed are the same size. There are no standardised sizes, so even if they're both double, the size may vary - particularly if they're from different manufacturers. High or low: consider how high you want your bed to be. While modern styles tend to be quite low to the ground, under-bed storage drawers may add extra height. Tight squeeze: measure how much space you need for your doors and drawers to comfortably open and, more importantly, make sure your bed will actually fit in the space. Moving day: while most divans will split down the middle for easy transportation and other bedframes can be assembled in your room, take into account the logistics of moving your new bed into the room. The most popular type of bed in the UK, a Divan consists of one or two upholstered bases that rest on castors or legs. Sprung edge divan beds are considered to be the most comfortable and luxurious. This type of bed features an open-coil or pocket spring unit on the frame which acts like a giant shock absorber. The mattress sits on top of this, making it more durable as there is more give. Solid or platform top divans are also a popular choice. As the name suggests, they have a rigid base, often made from hardboard. They tend to feel firmer and are more affordable than divans with sprung bases. Favoured for their functionality, some divans also come with concealed drawers in the base to provide extra storage space. Affordable and firm, solid slat beds are a more traditional style with no additional support other than the wooden beams. Made from laminated soft wood, bowed or sprung slat bases are the most comfortable, with each beam fitted to form a slight arch or 'bowed' shape that gives the bed its spring. The width between each slat will not only have an impact on the comfort of the mattress but also increase wear and tear. As a rule, ensure the slats are no wider than 9-10 cm apart also making sure to refer to the specification of the mattress (some will require a closer spacing, such as Memory Foam). Many modern bed designs also offer a range of space-saving and storage options that suit smaller urban spaces. Ottoman: a good option if you're short on storage space, the mattress base is designed to lift up so you can store your belongings neatly away. Storabed: perfect for children's rooms or guest bedrooms, this type of frame includes a concealed under bed that slides out from underneath the main bed. Sofa Bed: an adaptable piece of furniture that transforms the living space into a guest room, sofabeds operate via either a folding back or a concealed collapsible bedframe within the base. 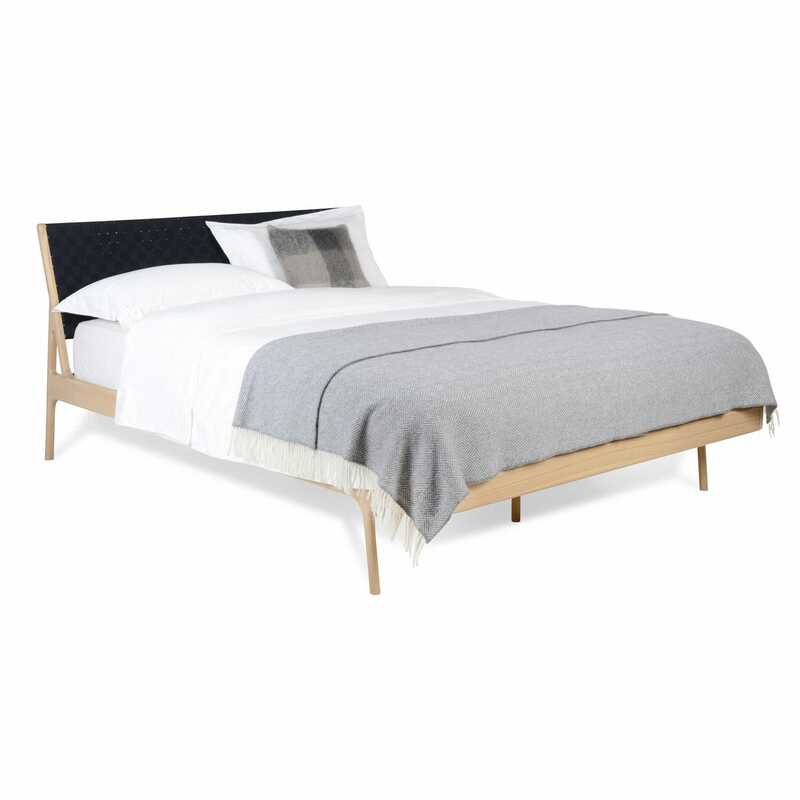 Unlike bedsteads, which are almost always designed to include a headboard, most divans are sold without one. This does, however, provide a number of options when it comes to shape, size and style. Check how much space you have above your bed as the headboard may impose on other decorative items on the wall such as a picture or light fitting. Consider how the headboard will be used – is it purely decorative or will it be leant on whilst reading.